The winner is…. Trash2Tees book giveaway!!! Congratulations lived4th1..!!!! Please send me an email via the mailbox link under my profile picture so that Jennelle and I can forward you the link for your new book. 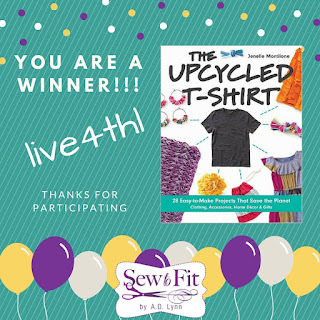 It’s so exciting to be able to give away to a lucky winner a free copy of the book, “The Upcycled T-shirt Book, by Jenelle Montilone. 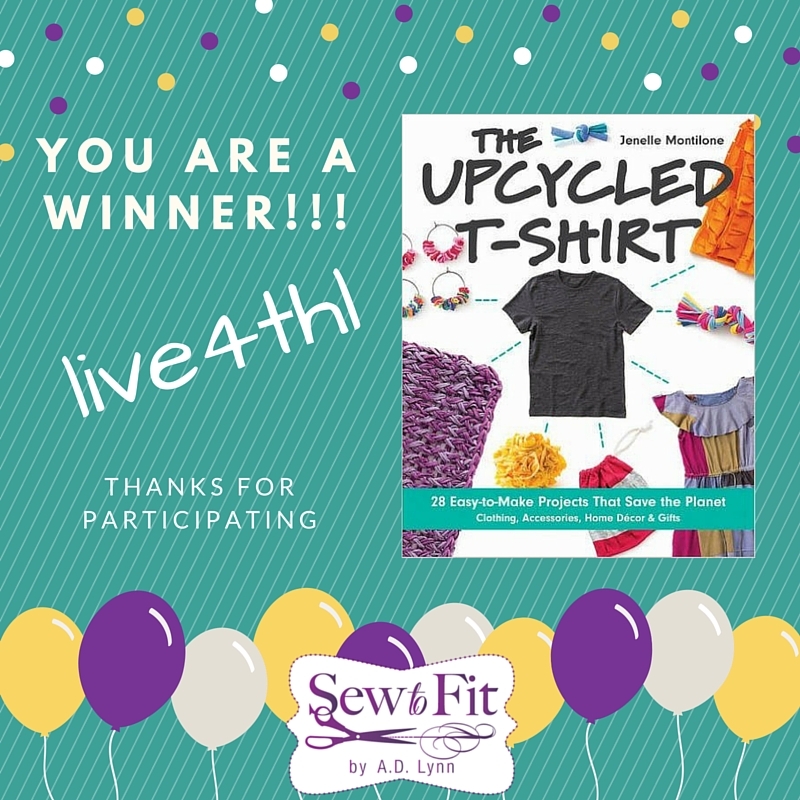 Thank you all for participating in this giveaway, and taking time to consider the impact you could make from your sewing room. As you can see, it was really a very scientific process. Writing each name was fun because now I’m really beginning to recognize who all you wonderful folks are. I think you all are winners in this case because you already sew for yourselves. But as time goes on, having a better idea and knowing the small things we can do to save on fabric makes our craft that much more appealing. Your creativity for the reuse or up-cycle of old clothes is limitless.